The advance estimate for GDP for the second quarter of 2015 came out yesterday. The numbers were much worse than analysts had expected even though we had already anticipated weak numbers in our press release “Weak Exports Signal Need for Stimulus Package” published in March 2015. The latest numbers show a reversal of the recovery in growth in the first quarter with GDP declining at a 4.6% quarterly annualised rate. No sector recorded positive growth during the quarter. This is against the backdrop of an increasingly unfavourable macroeconomic climate where all the major economies except the US are seeking to cut domestic demand and use competitive devaluations to spur growth. Japan, South Korea and the Eurozone led by Germany have been the main culprits. Not surprisingly given contracting global demand and loss of competitiveness, manufacturing contracted at a quarterly annualized rate of 14%. Meanwhile construction fell by 0.2% and services declined at a 2.6% quarterly annualized rate. The decline in manufacturing was the worst since 2008 while GDP growth declined at the fastest rate in three years. The picture is probably not as bad as the advance estimate makes it appear. MTI have a history of releasing shock numbers and then revising them up substantially later. We suspect that there is frequent manipulation of the statistics because of political interference. Reform Party has called for both an independent Statistics Authority and a Freedom of Information Act to prevent the Government from only releasing statistics that paint it in a favourable light. However any later revisions are unlikely to alter the broad picture. Manufacturing is unlikely to pick up in the short term given the deteriorating global macroeconomic climate. It is apparent that the PAP have no other strategy than to hope that US growth will pick up in the second half which appears more and more fanciful by the day. Tourism and service exports are similarly affected by the global economic slowdown. Household spending remains weak and wage growth is close to zero despite the PAP’s continual assertions that the labour market is tight and that our workers have no difficulty finding jobs. The PAP Government has used infrastructure spending, principally on new MRT lines, as a means to boost the economy, rather than investing in our people as Reform Party has advocated. The PAP says that spending on Singaporeans is wasteful and encourages them to be lazy and have a welfare mentality. Yet they do not apply the same arguments to their salaries or to corporate subsidies and tax breaks for foreigners and the elite. While it may look sensible to invest in infrastructure, the PAP have produced no justifications for the vast amounts they are spending and we suspect that they will principally benefit the next wave of foreign workers and immigrants that the PAP is planning after the election is over. The boost from infrastructure spending is unlikely to move the dial much when the Government continues to run a highly restrictive fiscal policy. As Reform have pointed out consistently, much of what Tharman presents as spending is just shuffling money from one account to another with little current spending involved. Last year he allocated $8 billion in the 2014 Budget out of current spending to provide for the Pioneer Generation package. None of the $8 billion was actually spent. This year Tharman was up to the same trick as he put $5 billion into funds for long-term spending, including $1.5 billion into the Productivity Fund that we have highlighted as a black hole with no accountability. As we have pointed out , the real Government surplus is at least $25 billion p.a. and possibly more than $30 billion p.a. We published a table of Government surpluses since 1999 (see “Reform’s Wish List for Budget 2015”) which showed that they amounted to more than $300 billion. This is probably conservative as land sales revenues alone since 2005 amount to at least $170 billion. Instead of increasing spending and running a smaller surplus to offset the deepening global slowdown, the PAP will instead ease monetary policy and depreciate the S$. This is unlikely to make much difference in the short term as all the major economies are trying to do the same thing. We are unlikely to become substantially more competitive or see a big boost to exports. However the PAP Government prefers to continue to run a huge surplus so they can continue to boost the size of the assets managed by our sovereign wealth funds, Temasek and GIC. We have not been told how much Mrs Lee is paid as CEO of Temasek or whether PM Lee gets paid as Chairman of GIC. However we can be fairly certain that Mrs Lee’s remuneration will increase the bigger the amount of assets managed by Temasek. If she is paid a performance fee as a percentage of returns then larger assets could increase her remuneration by hundreds of millions, if not billions. 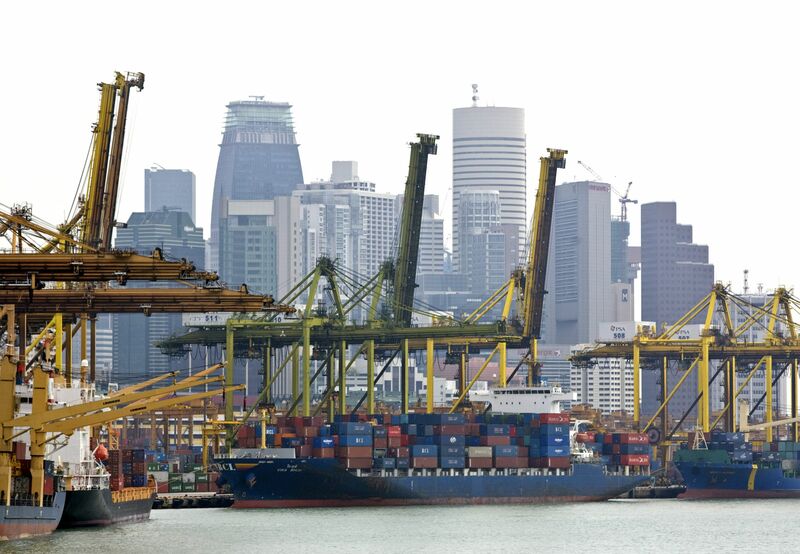 Instead of relying solely on a combination of monetary easing and wishful thinking about a recovery in global demand for Singapore’s exports, Reform Party would immediately increase current spending by $6-8 billion. About $6 billion of this would be permanent. A basic old age pension of $500 per month paid to everyone over 65. Child Benefit for all children under 16. We would probably gradually withdraw it above the bottom 60% of household incomes. Medishield Life Premiums for children under 16 and adults over 65 to be covered by the Government. We would probably extend this to NS men and those in full time education. Abolition of fees for all education including pre-school from the age of 5 up to A Levels. Eventual listing of Temasek and GIC and distribution of shares to Singaporeans.